Based on the http://www.pmn.gov.my website, the Besut flag is a red field with the state flag in the canton. Image reported by Hairul Hisham. I just returned from a 4 day trip into the Besut district in Trengganu, Malaysia. I looked everywhere but did not see a Besut district flag. I talked to one Kuala Besut town official who had never heard of the flag. Terengganu district flags are beginning to appear here and there, and I got a photo of a flag of Besut last weekend. The flag in the photo was red, not orange, as it appears in the picture. Besut is district council in the District of Besut, State of Terengganu. Based on the http://www.pmn.gov.my website, the Dungun flag is a pale blue field with the state flag in the canton. Based on the http://www.pmn.gov.my website, the Hulu Terengganu flag is an orange field with the state flag in the canton. Based on the http://www.pmn.gov.my website, the Kemaman flag is a blue field with the state flag in the canton. Based on the http://www.pmn.gov.my website, the Kuala Terengganu flag is a yellow field with the state flag in the canton. Based on the http://www.pmn.gov.my website, the Marang flag is a purple field with the state flag in the canton. 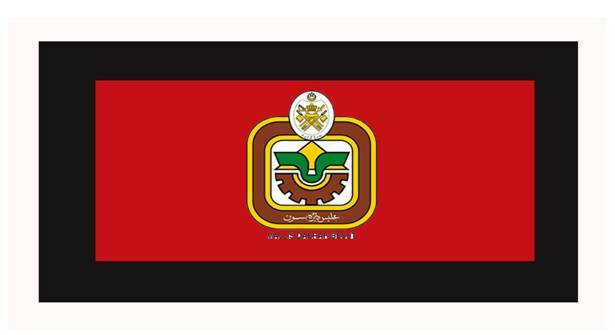 The flag of Marang district council is identical with the flag of Marang district. You can see it in council website: http://mdm.terengganu.gov.my/web/guest/bendera;jsessionid=016F50A7DDA964B269569020A8C06AF5. Based on the http://www.pmn.gov.my website, the Setiu flag is a brown field with the state flag in the canton.